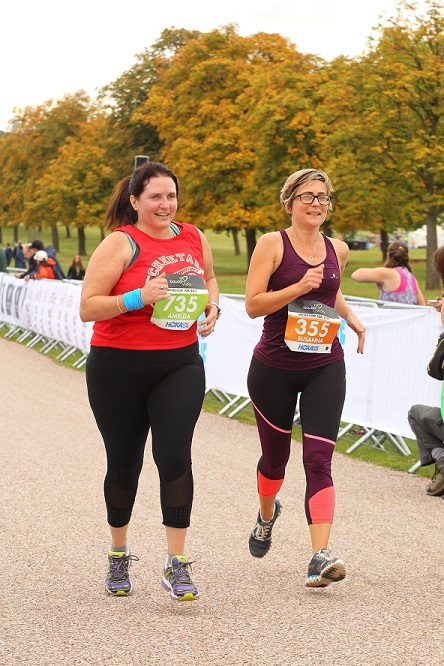 It’s nearly here – you only have a week left until your 10K race! A lot can happen in a week – so it’s crucial that you get it right. Whilst you can’t make big changes to your fitness, you can make huge strides in confidence, preparation, and recovery. Here’s how to dominate the final week of your 10K training plan. This is not the time to be trying out new kit, eating a radically different diet, or throwing in new training sessions. Keep everything the same, and reduce the intensity and frequency of training. By this stage, you should know which shoes you’re going to wear for the race, and have a choice of outfits (cooler or hotter weather). Make sure you’re confident and happy with every aspect of your kit choices. Nothing should rub, chafe, or be uncomfortable. You already know that you need to reduce the amount of running you do in this final week. But if you usually do strength training, cross training, or yoga then make sure that gets reduced too. You don’t want to become a couch potato. But it’s important to rest up and minimise soreness. You’ll have extra time this week because your running sessions will be reduced. Try to use that time wisely by getting to bed a little earlier. Even half an hour earlier every day will really help you feel fresh and rested for the race. Did you know that alcohol and caffeinated drinks actually dehydrate you? Try to reduce (or cut out) your alcohol and coffee intake in this final week. You’ll feel better for it. If you typically use coffee as part of your training stimulus, the break will mean that your race-day espresso will work better than usual! At around 3-5 days before your 10K, do your final intense session. This could be sprints, speed work, or a race pace run. 3-5 days gives you enough time to recover from the session and benefit from the training stimulus. Runners usually report feeling a bit twitchy the day before the 10K race. It’s fine to do a gentle, short session on this day but don’t overdo it. 30 minutes max, with a few short burst of race pace (or strides) will help you feel fresh and sharp. Eat a meal that you know you can digest (this is not the time to go out for a meal, or try a new recipe!) Check your kit bag, travel info, and race pack one final time. Drink plenty of water, and try to get an early night.